For a mix of modern and traditional, visit GiGi! GiGi also offers hot chocolate and mulled wine, and pairs well with either your sweet or savory crêpe on a rainy Parisian day. Kurgen is the opposite of a traditional crêperie- its modern interior makes this crêperie really cool. They crêpes are also excellent and only made with ingredients from Breton. 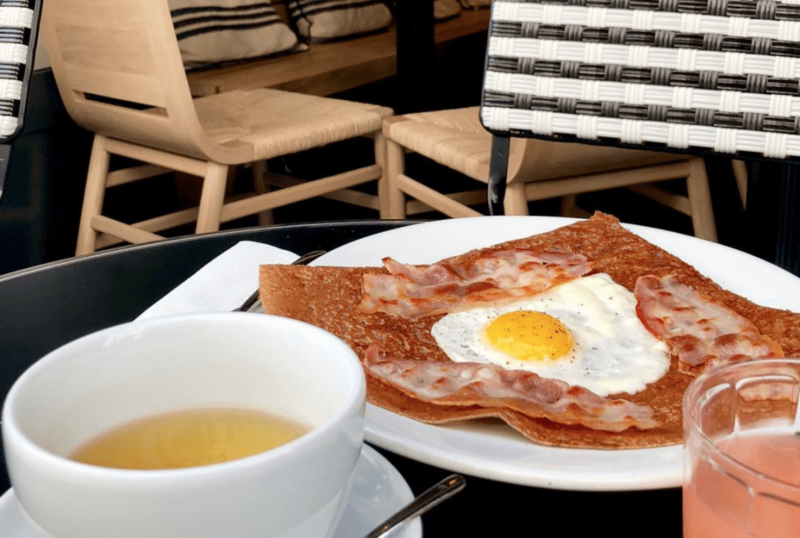 At Breizh Café you will find unusual ingredients in your savory crêpes, spicing up the traditional crêpe menu! Another benefit of this place is that a full meal including both a sweet and savory crêpe with cider is also very affordable, for less than 20 €/ person. While in Paris, you must checkout Montparnasse where the catacombs and Montparnasse tower are located! A little known fact is that Montparnasse is also the hub for crêperies in Paris, filling the side streets of the 14th arrondissement. Our favorite in this neighborhood is Crêperie Josselin as they serve traditional Breton buttery crêpes in a room full of character.